The holiday season is in full swing, and there are so many things to do in Hendricks County this weekend that are designed to get you in the Christmas spirit. I&apos;ve put together a few of what I think are the can&apos;t-miss events this weekend. The Hendricks County event I am most excited about is the Geminids meteor shower at McCloud Nature Park. This meteor shower will be a gorgeous display of natural beauty, and McCloud Nature Park is staying open late (from 6 to 11 p.m.) on Saturday so visitors can enjoy the show. The Nature Center, 8518 N. Hughes Road, North Salem, will be open as a warming station, complete with hot cocoa, and you&apos;ll have the opportunity to learn more about meteors. There will also be games and crafts for the youngsters. Put on your warm clothes, grab your blanket and your lawn chair and enjoy this amazing natural event. If you&apos;re hoping to see Santa, you&apos;ve got some great opportunities to do so this weekend. On Saturday, Santa will be arriving in North Salem. You can visit with Santa from 1 to 3 p.m. at the Eel River Community Building by the fire truck. Treats, photos and crafts will be available for the whole family to enjoy. Santa will also be stopping by Strides to Success in Plainfield. 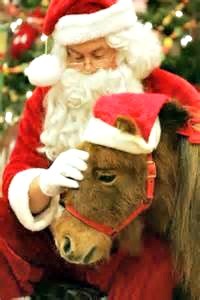 On Friday and Saturday from 4 to 9 p.m., your family can experience Christmas With the Ponies. For a $25 donation per family, you can meet and take pictures with Santa, and get up close and personal with some adorable miniature horses. There will be crafts for the kids and refreshments available. If you&apos;re looking for a place to wear your ugly Christmas sweater, head out to the Town of Coatesville Bingo and Bake Sale. This fun event will be Saturday in the Community Building at 6 p.m. There&apos;s no charge to play Bingo or enter your sweater in the Ugly Sweater Contest. Prizes will be awarded for the most outrageous sweaters! There&apos;s also a live theater event this weekend that will fill you with Christmas cheer! 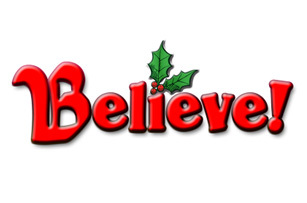 The Hendricks Civic Theatre will be presenting the final weekend of their show Believe!. This faith-based performance reminds us that Christmas is about more than presents and parties. You can see this show Friday and Saturday at 7 p.m. and Sunday at 2:30 p.m. at the Longstreet Playhouse, 4998 N. County Road 100 East, Danville. Finally, if you&apos;re looking to get out of the house and get active, Monster Mini Golf in Avon is gifting the community with free miniature golf on Sunday starting at 5 p.m. Their unique "Weird Radio" DJ will be giving out wild and wacky prizes as well. This a great activity for the whole family to experience together. What will your family be up to this weekend?